Begin by running a hot bath, fill it with bubbles or rose petal bath bombs and create a peaceful and loving environment. Be mindful and take 5 mins or so to clear your mind allowing you to focus on being present for your partner. Use relaxing essential oils, they stimulate the brains limbic system, which hits the sweet spot of emotional memory. Chamomile, frankincense and lemon is a beautiful relaxing blend. Once you have the scene set with your favourite relaxing music. Indulge in some pampering and offer your partner a massage. Intuitively indulge the senses, don’t forget to start slow and build up to a comfortable pressure. 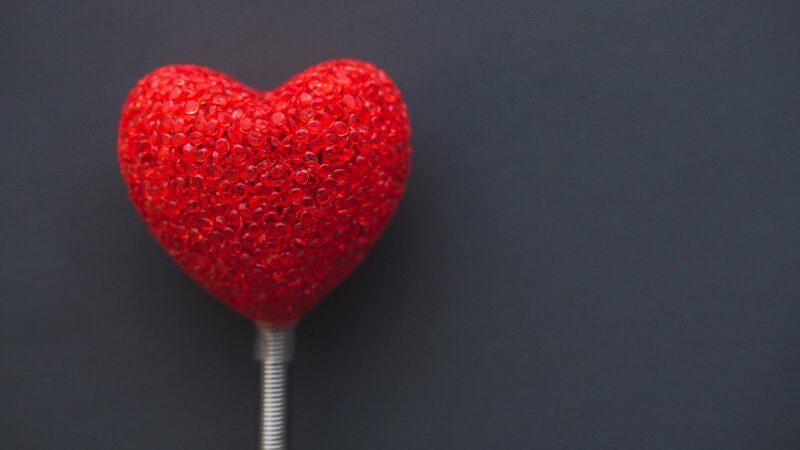 A loving touch can be very nourishing to the spirit as well as the body. Enjoy the time you’ve set aside to experience each other. Relax and have fun! Top tip: DIY Chocolate milk bath recipe. Bring milk to the boil, stir in chocolate bits until melted. Let cool and blend the mixture into 1 cup of bubble bath liquid. Use 1/2 cup of the mixture for each bath. The amount can last 4 days. 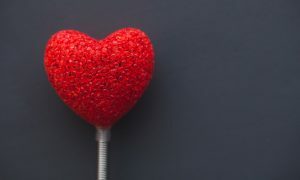 Just because your not in a relationship doesn’t mean that you can’t enjoy the most romantic day of the year and celebrate yourself. A spa treat always makes us feel indulgent and special, so why not treat yourself to a DIY spa treatment on this special day. Run a hot bubble bath, have your favourite music playing, pour yourself a glass of bubbles. Exfoliate your whole body, concentrating on any dry areas. Apply a nourishing hair mask, and a luxury face mask. Apply cucumber to cool and reduce puffiness around the eyes relax for 20 mins or more. To finish off apply a luxurious body lotion. Complete this head to toe treat by painting your nails and toes. Colour choice is yours but why not go bright red to mark the occasion! Invite your single besties over to celebrate how fabulous you all are with cocktails and a romantic movie. Winter weather strips your skin of its natural moisturising oils. High winds, freezing temperatures batter your face and home heating draws the moisture from the air which in turn pulls moisture out of your skin. Try these quick, organic face scrubs and masks that the Vanity Van team have put together for you to help rehydrate and rejuvenate tired complexions. 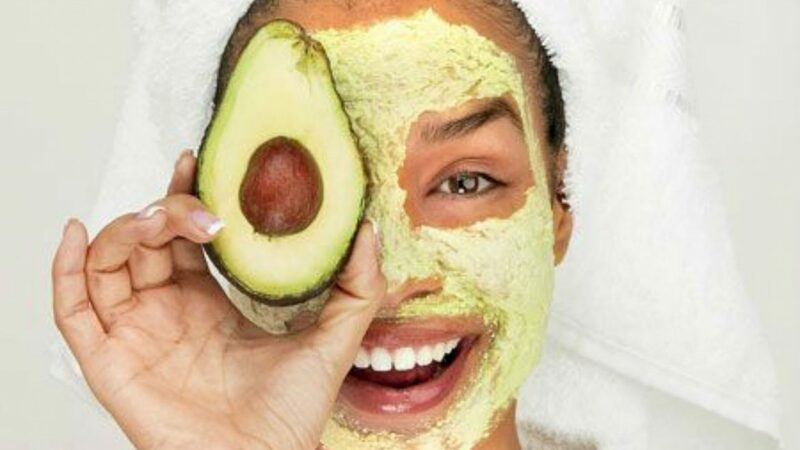 There are so many natural store cupboard ingredients we can utilise – have fun with food facials ! 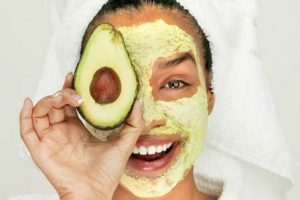 Avocados are known for nourishing and revitalising the skin. They are packed with skin-friendly minerals such as iron, calcium, potassium, copper, magnesium, etc. Vitamin A, E and K along side unsaturated fats. Excellent for dry skin and all skin types in the winter months. 1/4 ripe avocado, mash it up in a bowl until it turns lump free. 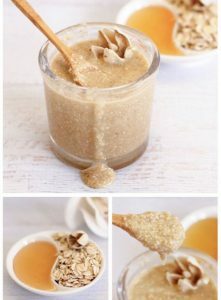 Mix into the pulp 1 teaspoon of plain organic yogurt and 1/2 teaspoon of honey. Stir them well until you get a paste of uniform consistency. Apply evenly onto your skin for 10-15 mins. Rinse off with Luke warm water and pat skin dry with a soft towel. Who needs Botox when you have Bananas! Mash up a medium sized ripe banana into a smooth paste, then gently apply it to your face and neck. Let it set for 10-20 mins then rinse it off with cold water. 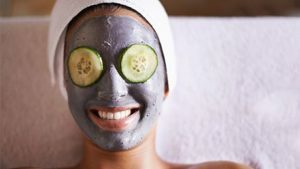 When you apply a mask another tip is slice thinly some cucumber to stick over your eyes to reduce puffiness and dark circles. 1-2 drops orange, lemon, lavender essential oil. Combine all ingredients in a small bowl. Using the tips of your fingers, gently rub scrub into clean face. Take care to avoid the eyes. Remove by rinsing with cool water, and pat dry with a clean towel. Mix all ingredients together and apply straight to the face and décolletage. The blend of ingredients will help to reduce breakouts, even skin tone, and moisturise. Now the festivities are over, our focus and new years resolutions have shifted to rejuvenation and detox. With that in mind we have come up with some special wellness treatment packages to see you through the cold dreary weeks of January and beyond. Taking care of the health and wellbeing of your teams is paramount. 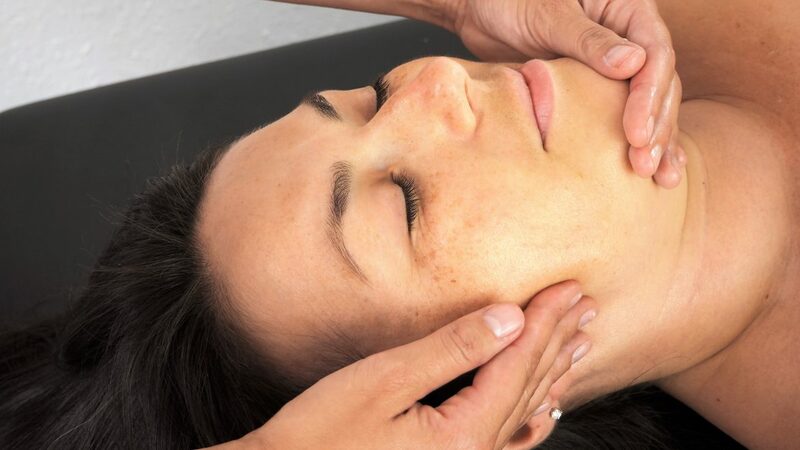 One of the best ways to reduce stress and increase productivity is to take time out for body treatments such as massage, reflexology, and Reiki which help to ease pain and allow the mind to switch off from the outside world. After all the toxins consumed over Xmas and the onslaught of winter weather damage, it is also essential to look after your skin with regular facials and pamper your brittle nails with manicures and pedicures. We have created a special detox deal for these particular treatments. Detox deal rates are valid when the booking is confirmed before 31st January 2018. All prices subject to VAT. Travel costs outside of London apply. Drop us an email or call 07825 875210 quoting ‘DETOXDEAL‘ and the dates, times and treatments you are interested in. This deal is only valid for new quotes and bookings confirmed before Wednesday 31st January 2018. Please note all bookings are subject to availability of treatment choices. Relevant travel fees per stylist charged for locations outside of London. Get in touch so we can discuss how to revitalise your team for a productive year ahead! In the mid throes of planning your summer fun day event and at a loss to know what to do to add that extra sparkle? Our teams are experts at injecting relaxation, glamour and beauty to the proceedings. Crowds love our treatments as they are high quality, high value experiences. We are inundated on site and always guaranteed to be fully booked within minutes. 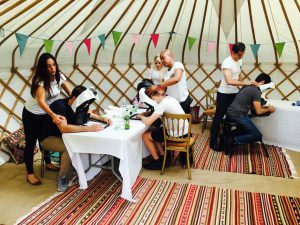 Guests have been known to sprint across the fields at a summer fun day to secure their 15 mins of relaxation pleasure at the hands of our masseuses and beauticians! We specialise in express treatments to ensure as many guests get to luxuriate in a pampering experience as possible. Our booking systems and professional salon managers mean your guests can say goodbye to long queues and waiting times. To make your themed event and your guests stand out from the crowd we can tailor the treatments we offer to suit the concept or era. 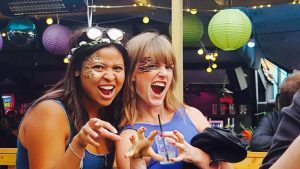 We can even makeover your event staff with a creative look to suit the theme to add that extra WOW factor. If you are taking over a field for your corporate fun day we have a series of awesome slick airstream salons and marquee options to ensure our team can work whatever the weather. Alternatively we can simply rock up with equipment to set up in a structure or venue you provide. Check out how we have helped our fabulous clients in the past bring a touch of glamour to their summer fun day on our case studies page which is packed with further ideas. To fin d out what our expert team recommend for your event call us on 07825 875210 or email bookings@vanityvan.co.uk with some basic details about your event.